Custom and Personalized Bowling Balls are available at Bowlerstore.com. BALL SHIPS UNDRILLED UNLESS DRILLING SERVICES ARE ORDERED. Quantity Discounts Available for orders of 5 or more balls. The more you order, the more you save. *Please keep in mind licensed images or trademarks cannot be used unless the images are owned by you. For example: Disney characters, NCAA logos, etc. are not permitted. This is our online form where you can choose design your very own custom bowling ball. You will also be able to upload your image(s) for your bowling ball. This is the style of the frame around you image(s). Don't have an image? We can provide a high quality image(s) for $10 per image. This is where you can upload your image(s) for your Custom Bowling Ball. We will resize your image to properly fit on the bowling ball. Please upload the highest quality image available. The better the image, the higher the quality of the ball. 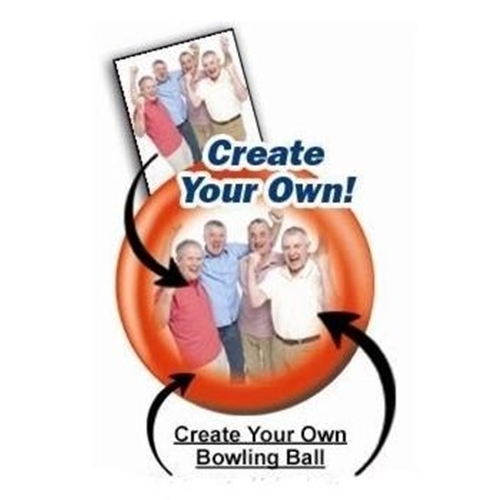 We will resize your image to properly fit on the bowling ball. Please upload the highest quality image available. The better the image, the higher the quality of the ball. The image format must be in JPEG or JPG format. Yes, I understand this order will take 2-4 weeks for production and cannot be canceled. Custom bowling balls take 2-4 weeks for production.